Believe in the Mission of the New Hope Metaphysical Society! We invite everyone who believes in the mission of the New Hope Metaphysical Society to put your belief to work by joining our community! As you know, the New Hope Metaphysical Society is a very unique organization– “one-of-a-kind”. Not only do we endeavor to provide the finest in speakers, teachers and programs to deepen your experience of the spiritual and mystical dimensions of life, but we also offer a place where all people are welcome regardless of their spiritual perspective or path. When you sign up on this page, you automatically become a member of the NHMS community, which gives you the opportunity to attend our monthly meetings, buy our products, share your experiences on our blogs, receive our newsletter and to participate in our volunteer activities. 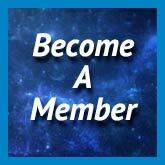 Won’t you join us by signing up as a member of our community? Please see below. The New Hope Metaphysical Society can only exist through the support and membership of those who believe in its mission. We gladly accept your love donations to help us continue the good work for the coming year!